What Have You Been Dreaming of Lately ? …. Have you been longing to know what is the real meaning behind the dreams you have been having at night? Is it true that God uses dreams to speak to His people today, I want you to read the story below carefully. I just wanted to give my testimony. For many years I could not understand why every night when I slept I would always have very strange dreams. Sometimes they were good but most of the time they were very very bad. When I woke up I would always talk about them with my friends or family because they alarmed me. Sooner or later, I found that what I dreamt would end up happening in life. Many times I would be planning for a job interview or a special meeting, but then I would have a bad dream and suddenly everything would go horribly wrong. I lost so much opportunities and I could never understand why. It got to the point where I didn’t want to sleep anymore, I was predicting my future and the future wasn’t looking good. Also I would dream of people chasing me or shooting me, it was very scary Bishop, I couldn’t understand why me, why did all these things have to happen to me? But then one day I was at your church and I saw a lady reading a book. The cover looked interesting so I asked her what the title was and she told me it was one of your books called The Truth about Dreams. So I asked the lady at the bookstore and I bought one. I finished the book the same night, I did not put it down. In fact I kept reading it and reading it. It was amazing, it talked about so many things, why I dream, what my dreams mean, how God uses dreams to speak to me. But also I learned one of the biggest mistakes I was making by talking about my dreams to other people. This was giving it the power to come to pass in my life. Your own personal story inspired me so much, how you had to learn the hard way through the death of your father. But I thank God that you pressed on and wrote this book. You are changing many lives. I am happy to say Bishop that after the powerful revelation I discovered, I have not had any bad luck after dreams. Even if I do dream something that I don’t like I immediately bind every work of the devil. I learned that from you. I have been coming to the ministry ever since and my dreams have changed, now I am the one that is chasing others in the dreams. Things are looking up for me now and I owe it all to you. The hard copy are already sold out but you can download e-book version which you can read it on your computer or any mobile devices please check for compatibility. 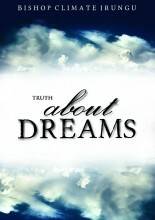 For a Limited time, “The Truth About Dreams” is available in E-Book Version for just £5.99. Get your Copy now by clicking here! Have you been longing to know what is the real meaning behind the dreams you have been having at night? Is it true that God uses dreams to speak to His people today, or was that just something that happened in the Bible? Can it be possible to be in control of what you are dreaming about at night? If you have been asking yourself those questions or if you have been suffering from terrible, demonic dreams at night then this book is for you. Put a stop to satan’s torment during your sleep and learn how to enjoy dreams for what they were really meant for. – What is the make-up of dreams? 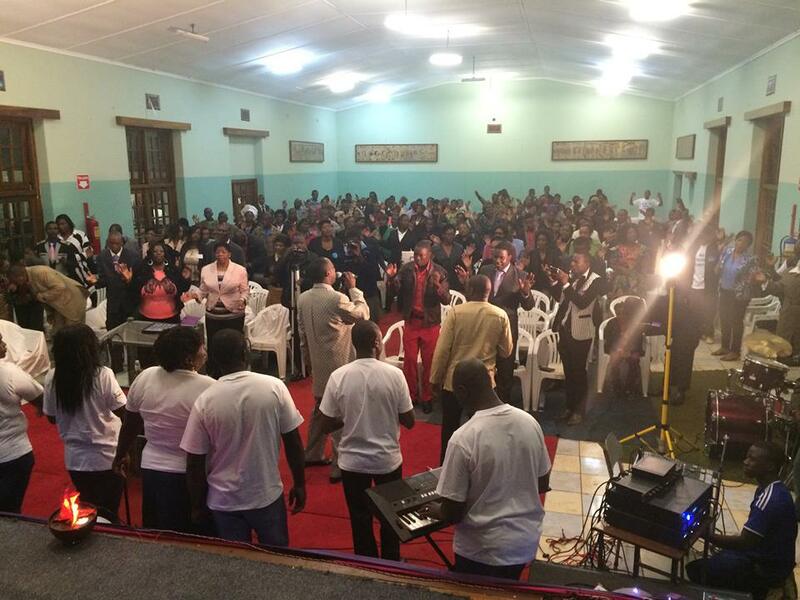 The Kingdom Church is one of the most powerful healing and deliverance ministries in the world, led by the anointed man of God Bishop Climate Irungu. I had a dream with one Prophet i know he was showing me how to enter on a stage ,then he gave me a yellow microphone.Then on another day i had a dream prophesying to a certain lady in front of a congregation. What is the meaning of these dreams.